Texas Medal honoree Lauren Anderson in Houston Ballet’s Swan Lake. Lauren Anderson teaching ECE’s Xᵌ: Explore, Extend, Excel! Program. Photo by Amitava Sarkar. You may be hard-pressed to explain what ZZ Top, Eva Longoria, Willie Nelson and Walter Cronkite have in common, but for the Texas Cultural Trust, the answer is simple: Texas. These artists and dozens more are recipients of the Texas Medal of Arts, a biennial awards ceremony established in 2001 that is the signature event of the 22-year-old Texas Cultural Trust. Since its inception, the Texas Medal of Arts Awards have presented 99 medals to 105 Texas leaders and luminaries. This year’s awardees, who will be honored at a public ceremony in Austin on Feb. 22, include Houston-born Lauren Anderson, who in 1990 became the first black principal ballerina at a major U.S. ballet company; Leo Villareal, a visual artist known for his large-scale light installations; and country music star Kenny Rodgers, who will receive the Lifetime Achievement Award, along with John Paul & Eloise DeJoria, Paul Mitchell/Patrón Tequila, Jaclyn Smith, Lynn Wyatt, Yolanda Adams, Dallas Black Dance Theatre, Renée Elise Goldsberry, The Tobin Endowment, Frank Welch, John Phillip Santos and Scott Pelley. For the first time ever, the awards ceremony is taking place at Texas Performing Arts’ Bass Concert Hall at the University of Texas at Austin, the city’s largest theater, having outgrown both the Paramount Theater and The Long Center. “As the event has continued to grow, we needed an even bigger space,” says Jennifer Ransom Rice, executive director of the Texas Cultural Trust. This year’s honorees belong to everything from the expected categories of music, film, television, dance, theater and the visual arts to other areas, including multimedia, architecture, arts education, the literary arts, and corporate and individual arts patrons. Leo Villareal, Current. © Leo Villareal and Lifschutz Davidson Sandilands. The Texas Cultural Trust has two rules when it comes to selecting honorees: There is a “must-be-present-to-win” requirement (no awards are given posthumously), and awardees must have been born in Texas or completed a major body of work in the state. Ransom Rice, who has been with the Cultural Trust for seven years and worked for the Texas Legislature for 12 years before, noted the importance of involving Texas legislators in the variety of events that take place around the Texas Medal of Arts Awards. She became familiar with the trust while working for a senator. Having grown up dancing ballet for 20 years, she left the Capitol when the opportunity arose to become the director of development for the trust. The 2017 medal honorees were announced Jan. 11 at the Tobin Center for the Performing Arts in San Antonio, hometown of this year’s awards ceremony emcees Peter Holt (former chairman and CEO of Spurs Sports & Entertainment) and Guillermo Nicholas (a Texas Cultural Trust board member and president of 3N Group, LLC). This month, the festivities kick off in Austin on Feb. 21 with a VIP preview party for honorees, sponsors and Texas legislators on the newly renovated rooftop patio of The Contemporary Austin. That evening, medal honorees will have the opportunity to mingle with prior awardees at a dinner. © Leo Villareal Studio / Photo by James Ewing. “We are a very proud people. It’s nice to have them all back home, if even only for a day,” says Ransom Rice. Feb. 22 begins with a brunch at the Governor’s Mansion, hosted by First Lady Cecilia Abbott, at which the honorees receive their medals at a private ceremony. Then, the public awards ceremony at Texas Performing Arts — a variety-style show modeled after the Kennedy Center Honors — begins at 7 p.m. Performances by Austin’s Grammy Award-winning choral ensemble Conspirare and modern dance company Dallas Black Dance Theatre, as well as special numbers to highlight Lifetime Achievement Honoree Kenny Rodgers, will showcase the variety of artistic talent in Texas. Additionally, past scholarship recipients of the Texas Cultural Trust’s Young Masters program are invited to perform. 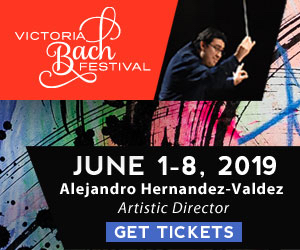 This year’s Young Masters performers are two 2014 scholarship recipients: Mariachi singer and guitarist Nizhoni Begay, who received her scholarship while a sophomore in high school; and Houston Ballet Academy’s Luke Westerman, who was awarded his as an eighth grader. 2017 Texas Medal dance awardee Lauren Anderson enjoyed a historic career with Houston Ballet, which won a Texas Medal in 2013. She began her training at the Houston Ballet Academy at age seven and joined the company in 1983 before being promoted to principal ballerina seven years later. When she retired from performing in December 2006, she “went across the hall,” as she put it, to the company’s community engagement department, where she was immediately hired as a program coordinator. 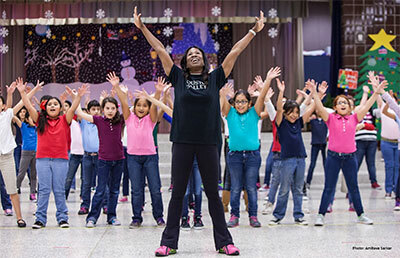 These days, Anderson devotes her time to teaching both aspiring professionals at the Houston Ballet Academy and working with schoolchildren in underserved communities via programs such as Dance to Learn, The Young Person’s Guide to the Orchestra and more. © Leo Villareal Studio / Photo by Jeremy Ambers. In the past couple of years, Anderson has experienced a resurgence of publicity activity around her story as America’s first principal black ballerina as a result of ballerina Misty Copeland making headlines in 2015, when she became the first black principal ballerina at New York City’s American Ballet Theatre. In September 2016, the Smithsonian’s new National Museum of African American History and Culture opened in Washington, D.C. with Anderson’s pointe shoes, playbills and photos on display. And of the Texas Medal? Born in Albuquerque, New Mexico, Villareal’s family moved back to Texas when he was young, after his father had finished graduate school. He called El Paso and Juarez, Chihuahua home until he was 16. After getting degrees at Yale University and New York University, he opened his studio in New York City and later purchased a family home in Marfa, Texas, where his mother’s ranching family is from. “Texas is a part of my history, my personal history,” says Villareal, as well as his present; in the last year, he’s traveled to Texas 10 times, and he has long-term plans of establishing a Texas studio. 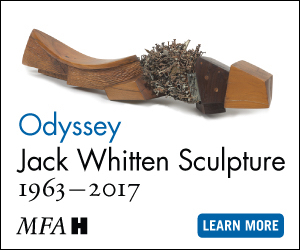 When Villareal began his undergraduate degree, he thought he’d major in art history, which quickly changed after he took a sculpture installation class. In the early 1990s ,when computers became more widely available, Villareal became hooked on their capabilities. After getting his master’s in interactive telecommunications, he had his first solo show in 2001. 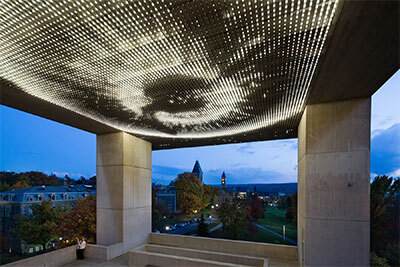 “I’d always wanted to do large-scale works, but didn’t know how I’d go about doing it,” he says. 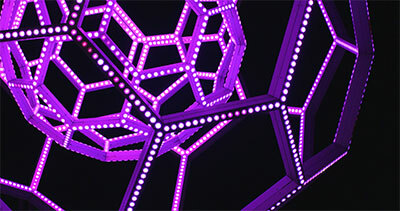 Career highlights have included Multiverse, a 200-foot corridor adorned with 41,000 LED lights that links the east and west buildings of the National Gallery of Art in Washington, D.C. (“It was supposed to be a temporary installation, but they loved it so now it’s permanent,” explains Villareal), and Buckyball, a 25-foot illuminated sculpture featuring two nested, geodesic spheres, currently at San Francisco’s Exploratorium. Since then, Villareal’s canvasses have only grown larger. In January 2016, he inaugurated his largest work to date, The Bay Lights, a nearly 2-mile-long permanent installation of 25,000 white LED lights on San Francisco’s Bay Bridge. 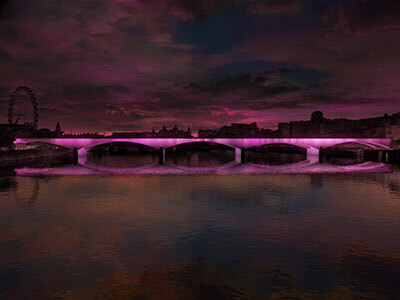 His next project is The Bay Lights on steroids: 17 bridges over London’s Thames River, which altogether amount to three nautical miles. His project was selected from 105 submissions via a competition. Much like art. Wouldn’t you agree, Texas?